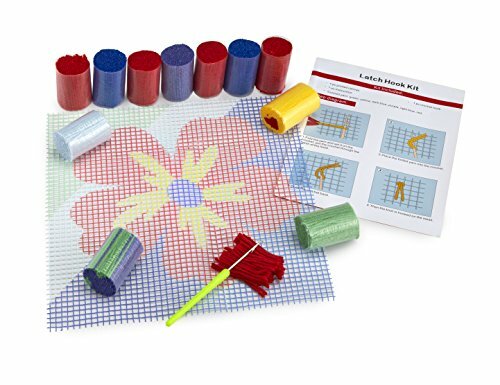 Wonderart Classics Cardinal Latch Hook Kit, 20" x 30"
A sheer film from which Angelina fibers are cut. Product can be heat bonded, stamped, and stitched. Use it alone or with Angelina fibers to add gorgeous shine, texture and intensity to products such as fiber arts, scrapbooks, crafts and much more! Includes directions. Film measures 4" x 3ft. 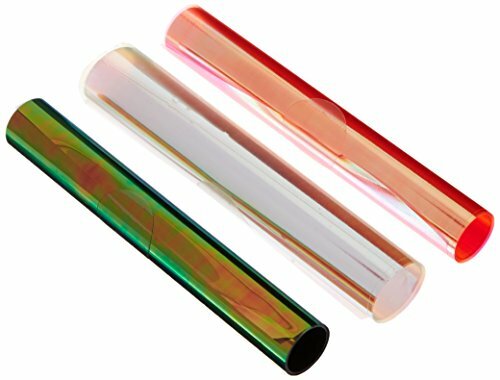 3 colors per package: Aurora, Forest Blaze, and Watermelon. GO! Fabric Cutting Dies by AccuQuilt: Square. Cuts two 5W x 5H squares. Squares are a basic building block of quilting. Charm squares are typically 5-inch squares cut from many different fabrics. This 5-inch cut square finishes to a 4-1/2 inch square. 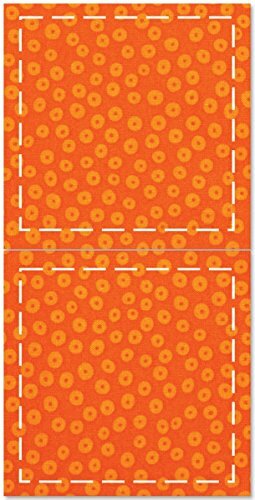 Also ideal for background squares for small appliqué blocks and setting squares for on-point block layouts. This die is used in blocks such as Flashing Windmill; Sawtooth Star and Ohio Star. Includes seam allowance. It is easy and effortless to cut fabric-the number of layers of fabric that can be cut at one time is determined by the thickness of the material. Use with the GO! Fabric Cutter and GO! Baby Fabric Cutter (both sold separately). Requires 6x12 inch mat (not included). Warranty: AccuQuilt GO! Dies are manufacturer guaranteed for one year. Die packaging includes project directions for a Charm Squares To GO! lap quilt. Imported. All patterns are my original latch hook rug designs. You are purchasing a paper pattern only. No other supplies are included. The how to latch hook instructions are easy enough for even a beginner to follow. My patterns where designed using "Mary Maxim" and "MCG Textiles" pre-cut rug yarn but you can purchase rug yarn from any company you prefer or substitute whatever yarn you like to hook your rug. You don't have to figure out how much pre-cut rug yarn to purchase because the quantity needed for each color is included. So it's easy to change the rug yarn colors to fit your decor. 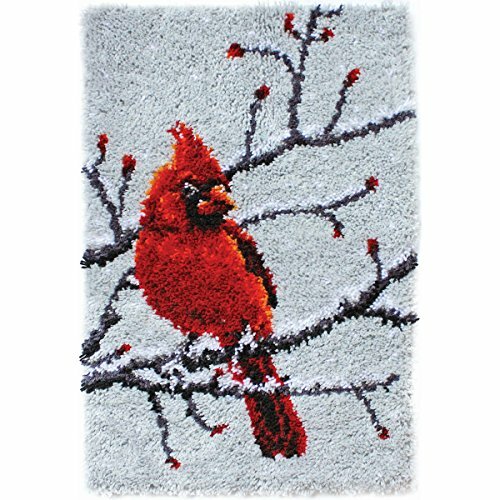 Images are simulated renderings of how the finished latch hook rug will look using the yarn colors chosen for that particular pattern. Please keep in mind that manufacturers can discontinue rug yarn colors at any time. If you need help selecting a replacement color just contact me. All my designs and images are copyrighted. Patterns are printed on security paper and are for personal use only. *Please read "My Shipping/Returns/Refund and Cancellation Policies" before you place an order* so that there are no misunderstandings. GO! Fabric Cutting Dies by AccuQuilt: Holiday Medley. Cuts one each: Holly 2W x 3-1/4H inch; Tree 4-7/16W x 5H inch; Snowflake 4-3/8W x 5H inch and 3-Berries 1/2-inch. Use for applique quilts; garments; gift tags; home decor; holiday items and much more! For fast applique; apply fusible web to fabrics; then cut shapes with dies. Use with the GO! Fabric Cutter and GO! Baby Fabric Cutter (both sold separately). Requires 6x12 inch mat (not included). Warranty: AccuQuilt GO! Dies are manufacturer guaranteed for one year. Die packaging includes project directions for a Holidays to GO! table runner or wall hanging. Imported. 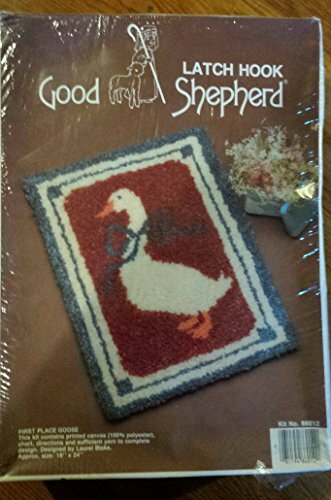 First Place Goose Latch Hook Rug Kit by Good Shepherd. 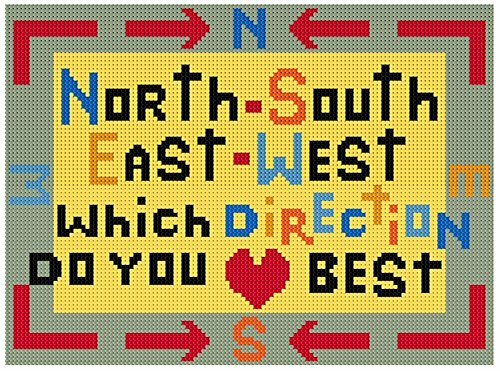 Includes printed canvas, chart, directions and yarn for 18 X 24 inch rub. GO! Fabric Cutting Dies by AccuQuilt: Apple Core. Cuts one 5-3/8W x 7-1/16H apple core. The perfect solution to curved piecing! This traditional quilt shape is an old-fashioned favorite but difficult to hand or rotary cut because of the graceful wavy edges...until now! 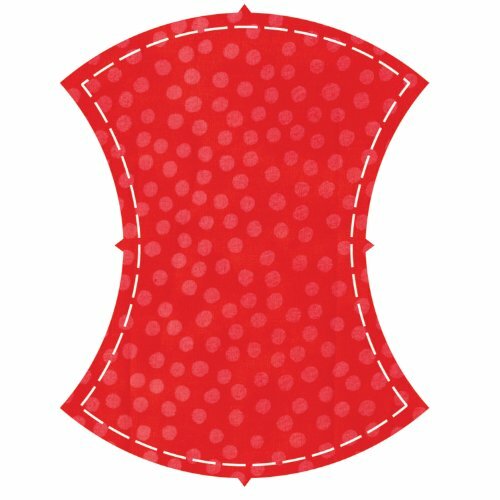 Large 6-1/4 inch finished shapes sew together quickly. Die features matching notches on curved seams for easy pinning and piecing. Arrange shapes in colorful combinations for great quilt designs and add binding to create a beautiful scalloped border. Use with the GO! Fabric Cutter and GO! Baby Fabric Cutter (both sold separately). Requires 6x12 inch mat (not included). Warranty: AccuQuilt GO! Dies are manufacturer guaranteed for one year. Die packaging includes project directions for an Apple Core to GO! Quilt. Imported. Martelli unique sharpening system has created a blade that is in for the long haul especially when used with the Martelli's Ergo 2000 Rotary Cutter and Tri-Co Professional Mat. 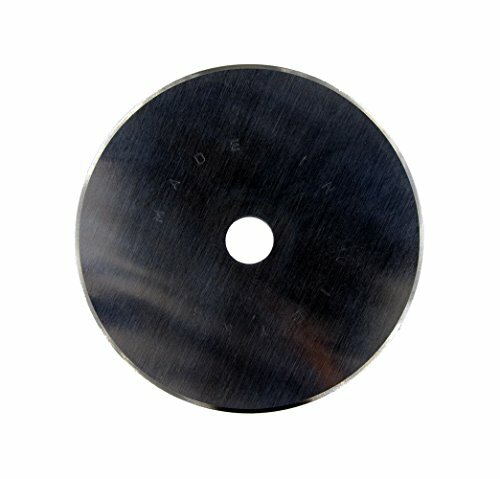 The life of the blade will last approximately 5 times longer, especially when used with our professional cutting mats. To replace your blades, first unscrew the bolt by turning it in the direction of the arrow. (This will be the opposite direction you may be used to - this keeps the bolt from unscrewing as you use the cutter. Carefully remove the used blade. Slide the new blade back into the cutter. Insert bolt and tighten securely by turning the bolt in the opposite direction of the arrow.